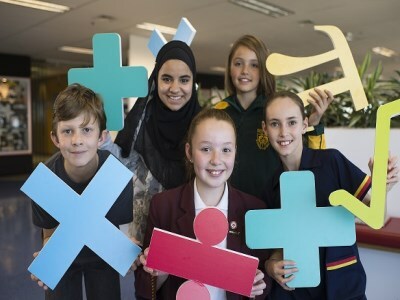 The World Education Games (WEG) commences this month, bringing together students from around the world to compete in the disciplines of literacy, science and maths. WEG is open to all schools and students and is held every two years to encourage learning in students around the world. WEG 2013 saw more than five million students compete from 231 countries and territories. This year’s WEG ambassadors are Mariam Kashif (NSW), Remi Long (QLD), Tristan Goldburg (VIC), Kalli Chamogeorgos (WA) and Ursula Harris (TAS). The global education event will be hosted by 3P Learning, an Australian company internationally renowned for its online education resources including Mathletics. 3P Learning CEO, Andrew Smith, said the five students had been selected based on their demonstrated “passion for learning and education”. NSW ambassador, Mariam Kashif, told The Educator she was surprised when she discovered she’d been selected to represent her state, but was nonetheless “ecstatic and honoured”. “I actually didn’t think I would get selected as ambassador for the World Education Games. The class was on an excursion to the city and we were at the train station when my teacher got the call that I had been chosen,” Kashif told The Educator. Kashif said she was most inspired by the fact that the event brought together so many students from around the world. “I think the fact that so many people all over the globe are going to be united on the basis of education is pretty inspiring,” Kashif said. “To be able to connect with children all over the world on topics such as literacy and science is so much more rewarding than connecting with others on the basis of misfortune – such as war or natural disaster. WEG 2015 begins 13 October and runs over three days, with each day focusing on one area of learning to mark World Literacy Day (13th), World Maths Day (14th), and World Science Day (15th). Participating students and schools will also be supporting the UNICEF School in a Box program, which sees students earn UNICEF Points for every correct answer in WEG. The total global points earned will go towards purchasing a school-in-a-box kit that contains all the essentials a teacher needs to provide an education to up to 80 students and can be used for any language or ethnicity. WEG 2015 aims to purchase more than 400 school-in-a-box kits for disadvantaged schools around the world. All students at participating schools are encouraged to sign up for the free event that is designed for all ages and ability levels. Winning students and schools will be awarded with medals and trophies at an event in Sydney in November.